Zoom's Frog is the ultimate soft plastic frog! 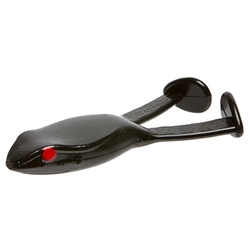 This floating frog provides more bulk and more violent noise than any other bait of it's kind. The Zoom 4" Frog makes a unique sound as well as produces an impressive bubble trail.